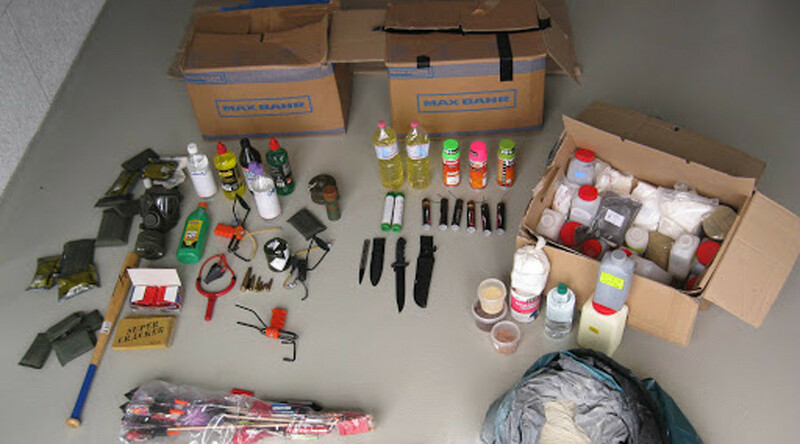 German police have seized numerous weapons as well as “unknown chemicals” in the house and garage of a man detained on suspicion of planning a “major offense” against the forthcoming G20 meeting in Hamburg. Local Hamburg police were alerted that a German citizen residing in the northern city of Rostock was preparing a “major offense” against the upcoming G20 summit. Following the tip, police officers raided several houses and a garage in Rostock. Authorities also conducted raids in the northern German towns of Hohenfelde and Bad Doberan. As a result, police seized a “vast arsenal” of weapons, including throwing knives, baseball bats, knuckles, telescopic batons and even a box with precision slingshots, which “could be used to commit violent crimes,” according to a police statement published on the website of Hamburg’s local authority. Police also found both legal and illegal pyrotechnical devices and ten fire extinguishers filled with dyes as well as bottles and cans with unknown, presumably flammable liquid. Gas masks and a plastic bag with numerous containers filled with yet to be determined powder and chemicals was also seized during the raids. The apartment and garage, where the assortment of weapons were found, belonged to the 30-year-old suspect, and another 26-year-old German citizen. Both men were detained following the raid. Their identities have not been revealed. The 26-year-old was subsequently released after questioning while the other man will remain in custody until July 10 due to the “existing prior knowledge” about his planned activities as well as the number of weapons found in his apartment, police said in the statement. The suspect is a member of the leftist extremist group, according to the German Bild daily. He is now facing charges of violating the laws on weapons and explosives. Police are now considering whether he could also be charged with forming a criminal organization. Police are yet to probe the nature of the discovered chemicals and their possible application. The incident comes as Hamburg prepares for a potential outbreak of violence against a backdrop of more than a dozen of anti-G20 protests announced ahead of the summit scheduled for July 7-8. About 30 demonstrations are expected to be held in Hamburg over the course of the summit week, which runs from July 1 to 9, as some protest groups have vowed to “defend their rights by all means.” They have already announced that they will try to block the ways to the summit venue, German media report. The organizers expect a peak of over 100,000 protesters, of whom police say at least 8,000 will be anarchists and various left-wing radicals whose major goal is to disrupt the G20 meeting. 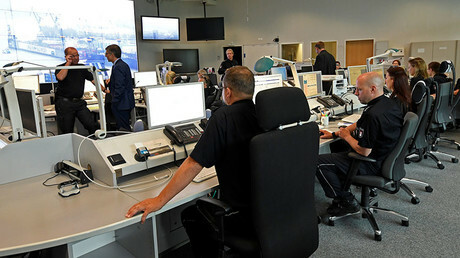 More than 20,000 police officers from across Germany have already been dispatched to the city in northwestern Germany. 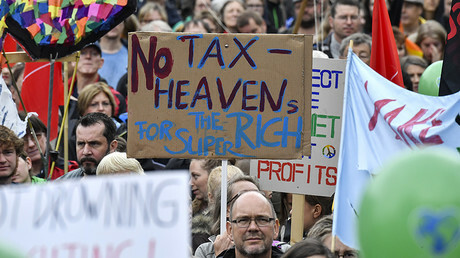 Thousands of people already took to the streets of the German northern port city to express their discontent with the policies of the world powers Sunday, but those rallies were peaceful.